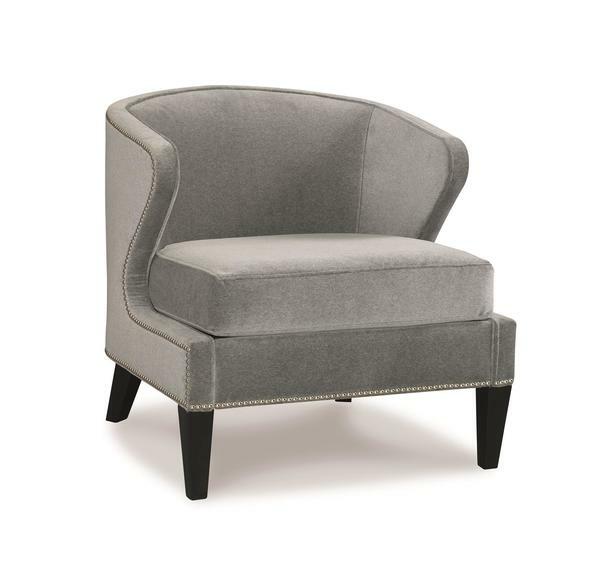 In addition to adding comfortable seating options, accent chairs like the Orson Chair by Precedent contribute to your decor in a big way. While some family members love to snuggle on the couch, there's the time when it's nice to enjoy individual seating too. The Orson Chair brings home a big dose of contemporary style done right, with quality materials providing durability you can count on. Furniture by Precedent is quality combined with divine style. Precedent offers an exquisite line of American made furniture with an eco-friendly vibe, using certified lumber and recycled steel for their collection. With over thirty years experience in building fine furniture, Precedent knows what it takes to deliver the perfect combination of quality and comfort. Check them out here in this quick video shot in the DutchCrafters store. Precedent guarantees frames for life to the original buyer and cushions for two years. The Orson Chair creates the interesting curves contemporary furniture is known for. Never overdone, but peaking interest, this lounge chair presents a beautiful shape while keeping up the comfort factor.